I think it would be cool if we had a thread (maybe a sticky ) where we could post about what we did to our SLK today. Letting members have one place to post what they've done can give others members ideas on what to do. When was the last time your car had that done? This could be a great place for reminders and if you post here you can always look back and see the last time you did it or had it done. It doesn't have to be just maintainence. It could be mods or cleaning too! Dave54, Prof Wendy, El_Toro_33809 and 12 others like this. Last edited by jbanks15; 03-04-2016 at 01:45 PM. Congrats Chris on your new SLK! JAYBOSSTV, robherrera, 05slk and 1 others like this. Trev5, JAYBOSSTV, ichris93 and 7 others like this. 1) Work on drivers door window alignment. There is a slight leak and wind noise. 2) Fiddle with remote. It does not lock/unlock car. 3) Change oil. This is a time, not miles thing. We've had the car 18+ months and may have put 8,000 mikes on it. When will you be coming by to do these with me? simplyslk and JAYBOSSTV like this. JAYBOSSTV and savcom like this. 3) check the manual about the service indicator. I remember there being something about days or miles indicator. ...I am not sure whether to hug it or kick it at the moment. ichris93, Shimmo, Paul Ventom and 1 others like this. 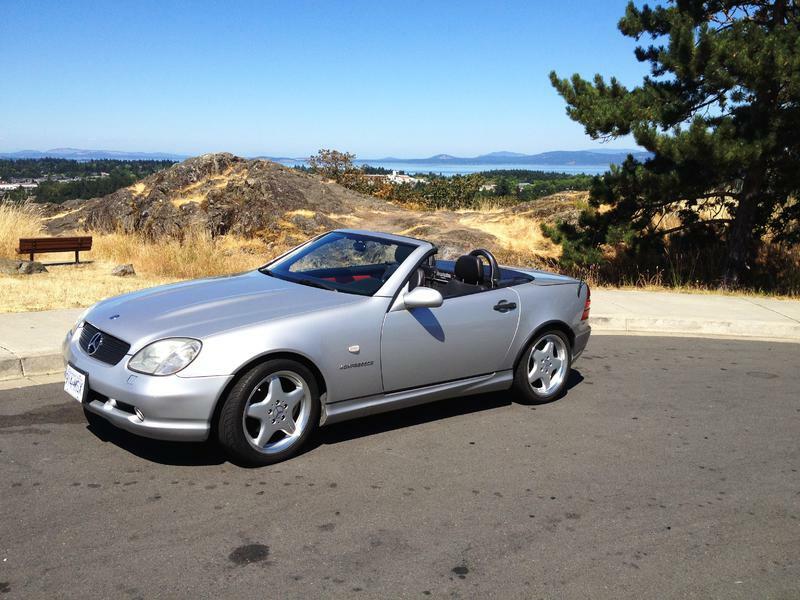 I recently bought this SLK 320 for my daughter for graduation. I have a list. I finally got around to working on it. Last night I rebuilt the hydraulic piston in the headliner. Putting it in today. FYI, the picks work ok, but a jewelers screwdriver is the trick. Dave54, El_Toro_33809, ichris93 and 1 others like this. Just wanted to say Happy 4th of July to everyone and remember all those who sacrificed to make this holiday possible and keeping it strong. Freedom comes with a price especially to those military and to the cops that keep our streets safe. I served 24 years AF and cop for 5 years, tough world we live in now and they need all the support we can provide. I would take my baby out but wife chore switching and painting doors, !! Dave54, simplyslk, CHELZEE and 5 others like this. Happy 4th and thank you for your service. 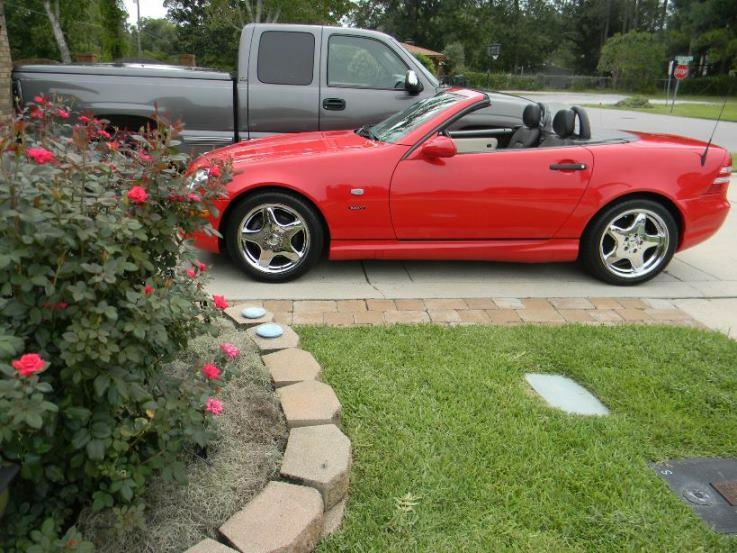 Maybe you need to make a trip to the Home Depot for something small, like paint brushes, and can take the SLK. lannylord2000 and yogamaniac like this. Looking forward to a late afternoon of sightseeing and dinner with Gork and daughter...hope the rain and traffic aren't too bad! El_Toro_33809, ichris93, Johnkat and 1 others like this. Happy 4th of July weekend to all our US cousins..
El_Toro_33809 and yogamaniac like this. We've been going through a bit of a heat wave on the west coast, temps in the high 80s with lots of humidity. Not complaining though! Been great to have the top down for months now! Dave54 and CHELZEE like this. Dave54, Bezgreshen, El_Toro_33809 and 5 others like this. When I bought the car the check engine light was one with a P0135 code saying they heater was bad for the first O2 sensor. Replaced the sensor today (got one from amazon for about $80) and no more engine light. Hopefully this brings the MPG up. Then I let my younger sister drive it, her first time in a manual transmission. She did well. Dave54, lannylord2000, CHELZEE and 1 others like this. Dave54, frogfoot, ponia003 and 14 others like this. Dave54 and El_Toro_33809 like this. Happy 4th to everyone. Thanks Lanny, and everyone else, that served our country. Spent 30 minutes removing and repositioning MB logo! Rubbed down and filled, painted rust above rear number plate. 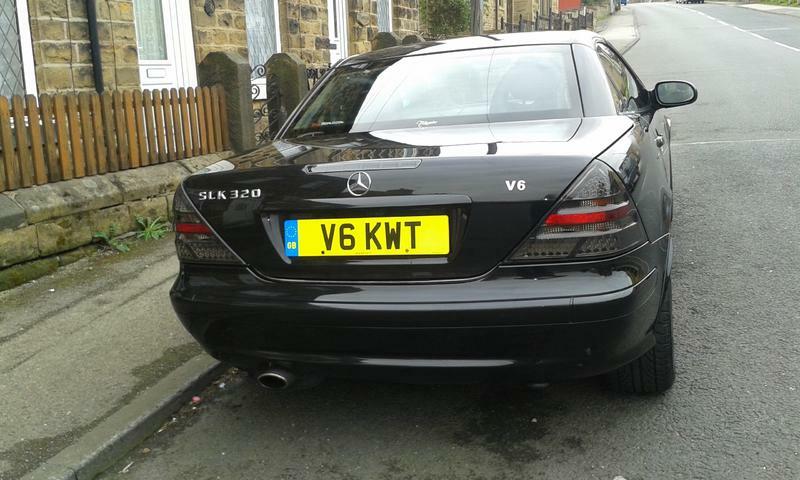 Fitted new number plate holder and number plate. 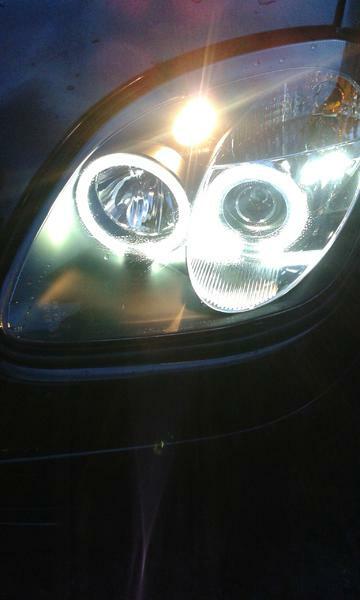 Replaced number plate bulbs with LEDs. Sat in the garden and had a beer (or two). Happy Independence day to our colonial cousins! Dave54, nimbusgb, TimsSLK350 and 8 others like this.